Okay, three’s a charm and all that… this is the last of the series of posts celebrating the Rural Ramblings blog’s 6th birthday! 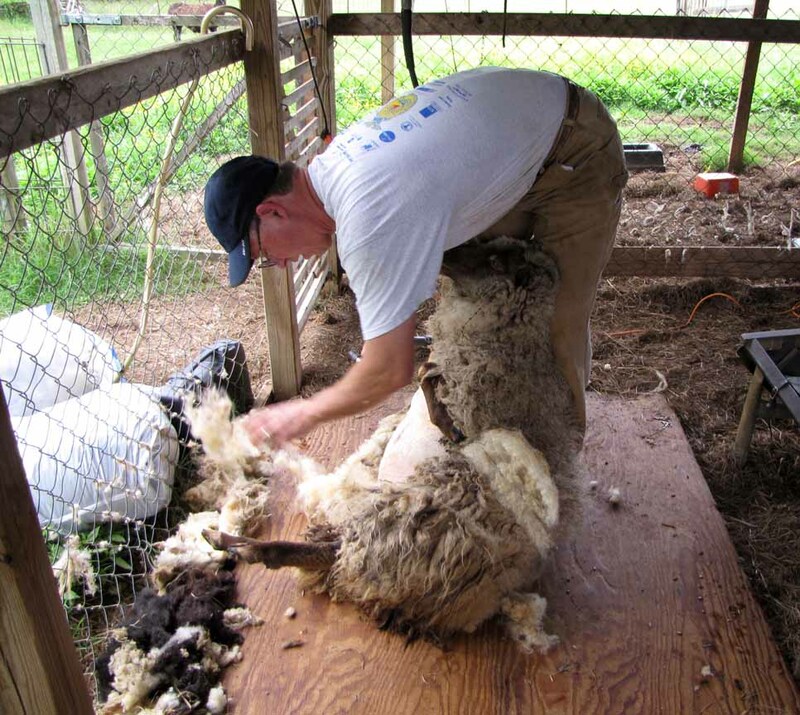 One of the most viewed posts from 2011 is about our Sheep Shearing. We were fortunate enough to get a new guy to shear the sheep instead of having to do it ourselves. What a blessing! Having someone else do the shearing saved our backs! What Bugged Us in 2011? One of the other most viewed posts was about bugs. 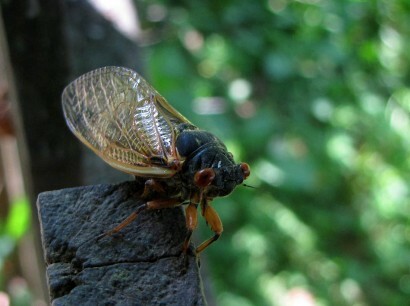 Cicadas to be exact. They were out in force the summer of 2011. These insects sure do make a lot of racket when they come out in force. For one reason or another, I didn’t do a lot of posting last year. 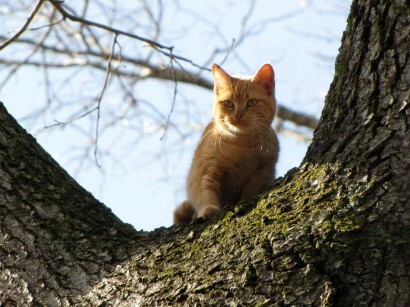 However, one of the more popular posts was about our rescuing a stray cat out of one of the tall walnut trees. 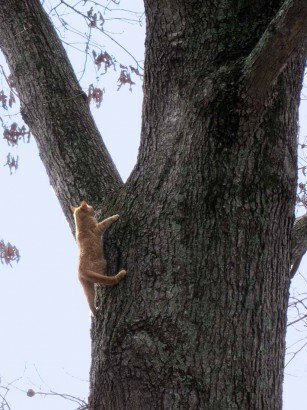 It came down partway on it’s own, but it took a tall ladder and a tall son to get the cat on down out of the tree. We thought for a while we had a new pet, but eventually the cat stopped hanging around. It looked well-cared for, so I expect it belonged to some other family. As for 2013. . . 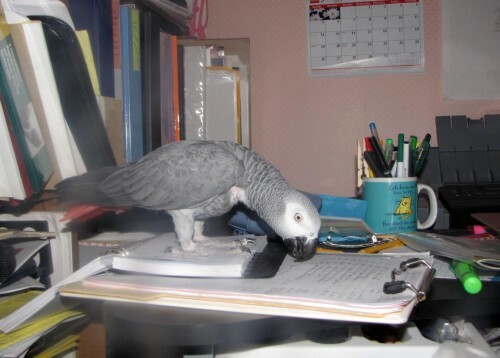 So far this year, it seems the most popular post is about our African Grey Parrot. She’s our only inside pet these days, but creates enough havoc for two or three creatures! Fortunately for her, about the time you’re ready to drop kick her into the stratosphere, she does or says something cute, and saves her feathered body once again. Keeping On Keeping ON.. .. ..
What the rest of the year holds is always somewhat of a mystery, as there are always unexpected twists and turns. However, at the moment we are getting ready to take a trip to West Virginia to visit family. I’m also in search of a Maremma Sheepdog, and about to put down a deposit for a puppy that should be born in the next week or so. I can’t wait! With ponds, gardens, farm and wild animals, relatives and friends, there’s always something going on. More fodder for Rural Ramblings blog posts! Maremma Sheepdog Puppies | One Little Girl is Mine!